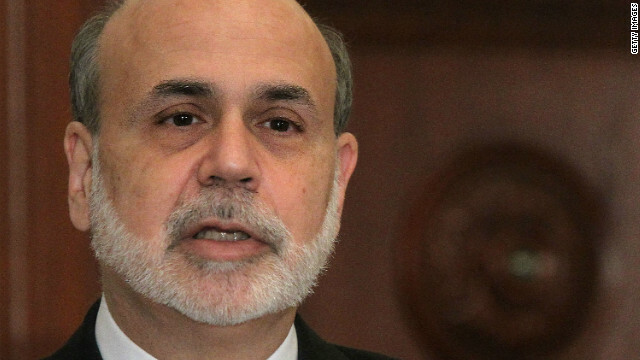 Federal Reserve Chairman Ben Bernanke, shown here in a file photo, has warned of risks of raising interest rates too soon. The U.S. economy is on stronger footing than a year ago, but Ben Bernanke wants to be careful not to squelch the recovery now. "A premature tightening of monetary policy could lead interest rates to rise temporarily, but would also carry a substantial risk of slowing or ending the economic recovery and causing inflation to fall further," the Federal Reserve Chairman told the U.S. congressional Joint Economic Committee on Wednesday. The Federal Reserve has kept its key short-term interest rate near zero since December 2008, and expects it to stay there for a "considerable time" as the recovery strengthens, Bernanke said. encouraging news but this recovery needs close monitoring. Factors like across the board spending cuts (sequester), states' struggling with fiscal problems, high house hold debts, EU economic woes and such are still there to hurt. Factors like style fluil hing your starwing rocker simpleter ..to go love this all people in service world ..love in love..